I think there are a lot of misconceptions out there about families who work from home, specifically in ministry. Here is a series I'm starting to "debunk" all the myths of THIS "Work At Home Family". "It Must Be Nice To See Your Husband ALL THE TIME"
This is just NOT the case. Yes, we work together and yes, Josh's office is in the middle of our house, but I beg to differ with this misconception. I do SEE him a lot ... in passing. We work in shifts in order to get all the work done. When he's not getting set lists ready, writing new music, writing books, answering e-mails, sending e-mails, practicing, returning unending phone calls, having band practice and going to meetings, then I get to snag a few minutes to get my side of the work done while he helps with the kids. We try to find at least one meal to eat together because we don't know what each week will hold during dinner time, whether it's band practice, meetings, etc. There were a couple days last week that I hardly saw him because of these very things that just happened to fall during dinner time and throughout the day. This is not the norm though and we are really working hard on trying to balance "work time" and "family time" and trying to schedule things during "normal business hours", but this is ministry, not a normal business, so things happen. All this to say, we're not just hanging out together all day. I do love what we do, though, and there is NOTHING else I'd rather be doing. Not to mention all the benefits of our type of job, like having Josh right here if I need to just run out for something and setting our own schedule, just to name a few. Do You Have An Over-Abundance Of These? Why in the world do we get a different phone book every couple of months? What are we supposed to do with all of them? How do we choose which one is the "best on for us"? Some are small and some are HUGE...what makes the difference? He's 2 - #11 - "Like This"
Zeke absolutely HATES doors to be closed, especially when Rainy is at school and he's having room-time by himself. So I had the clever idea of putting the gate up in the doorway to keep him in his room. I'm not quite sure why I thought it would work after THIS, but alas I thought I'd give it a try. "But mommy, he calls me Rainy a lot and tells me that he LOVES me!!!" Last night we had a special time of prayer and dedication over our new CD, The Healing. It was neat to be able to corporately pray over the CD. You can read about our vision for this project and more about last night on Josh's blog! If you are in OR near the Charlotte area come and join us!! To Say That He Loves Stickers Is An Understatement!! I had just spent the afternoon cleaning. Now, I don't know about you, but the day that I clean I want the house to look like it, at least for a few hours!! After we have our family Bible devotion time every night, we set the timer and the kids have a few minutes to quietly read books (or dance around and air guitar to WHATEVER music is playing) to settle them down for bed. This gives Josh and I a couple of minutes to pray together for our kids. As I was walking out of the room for book time this particular night, Areyna told me she needed a tissue for her stuffy nose. I handed her a tissue and walked out. This is what I found when I walked back in the room after book time. Again, I ask, why do I even bother?! I immediately go into my speal about how hard mommy works to clean the house , that they just made the house messy again, then Rainy interrupts me with a look like I had hurt her feelings and she says, "mommy, we made you a surprise." Zeke quickly runs over to the "pieces" on the floor and asks "some, mommy? Supise!!" Where Is All The Gas???? We've been riding out tanks down to "E" a lot lately because of, well, many reasons, but we were on dead empty last night. Josh left to go Uptown to CharlotteONE last night and passed our gas station right by our house thinking, "Oh, I'll just get gas on the way there". Little did he know that Charlotte is completely OUT OF GAS everywhere else!!!! He drove 45 min. and saw absolutely NO gas. He said he would have been there at 6:30 if he wouldn't have had to drive around for an extra 30 minutes looking for ANY PLACE with some gas! It's a little scary, since we make a living ON THE ROAD!! On the news I saw a video of one car actually pushing another car from behind just to get it into the gas station. People were running out of gas just waiting in the ridiculously LONG lines at the pump! 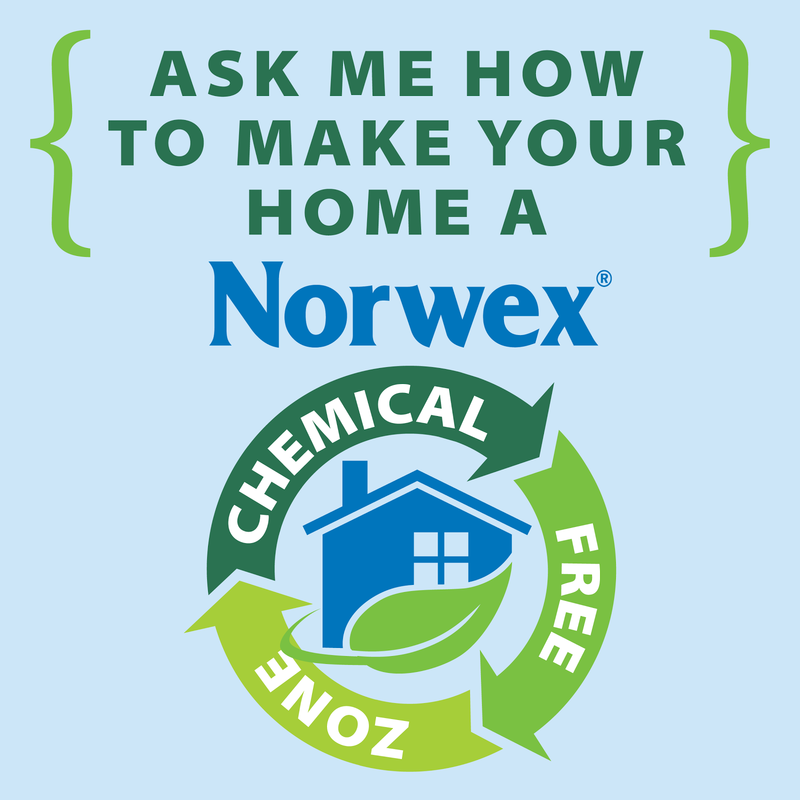 Do you have gas where you live? How much is it? I'm in the process of catching up ... AGAIN! I started scrapbooking because I thought it would be a GREAT way to consolidate our memories instead of having boxes and boxes of memories. I admit it, I have "clutter-phobia". I did pretty good before we had kids and from what I've heard other moms describe, I'm still not doing too bad. I completed a scrapbook for each of the kids first years and am now less than a year behind on the rest of our books. (I say "less than a year" VERY loosely ... I'm on November=}) That's the thing though. I wait until I'm like a year behind and then I have dozens of pages to catch up on and it's constantly hanging over my head. Here's the thing. I like to see a work complete!! And scrapbooking is NEVER complete. It just keeps going and I just keep taking more and more pictures and doing more and more cool things that I'd like to document. I really do like the finished product. They are so fun to go back and look at and my kids absolutely LOVE looking at them. They'll love them even more the older they get! So, I'll press on. Do you scrapbook and how in the world do you keep up with it? What are some tunes that you just HAVE to listen to?? On vacation this summer I saw that my sister-in-law was reading a book called "Character Makeover" by Katie Brazelton & Shelley Leith. I decided to get it and I'm so glad I'm reading it. It has asked some very pointed and convicting questions that have really made me think. This week I've been learning about confidence ... and I'm learning A LOT! "Perfectionists are doomed. Being perfect is the unattainable goal of a woman who is trying to prove her worth. But worth is not something we earn or achieve. Worth is something we learn to perceive. We come to realize that we have worth because God created us, redeemed us and loved us." Hmmm. When Josh is finished working at the end of the day I often find myself spouting off a long list of things I've "accomplished" that day, as if my worth to him is wrapped around what I've done right or achieved that day. That couldn't be farther from the truth. How much more of a lie is it to believe that we have something to prove to God by "getting things done". Today I also learned that, not only am I a perfectionist, but I'm a controller. then you might become a controller." Or in my case, you might REALIZE you are a controller and thinking that these things are a reflection of you! Ouch. I've got a lot to work on. I know I cannot compare myself to others and what God has called them to accomplish. I know my worth is found in Him!! I know these things in my head, now it's time to start living like I TRULY believe these things. So, today, I'm turning over a new leaf. 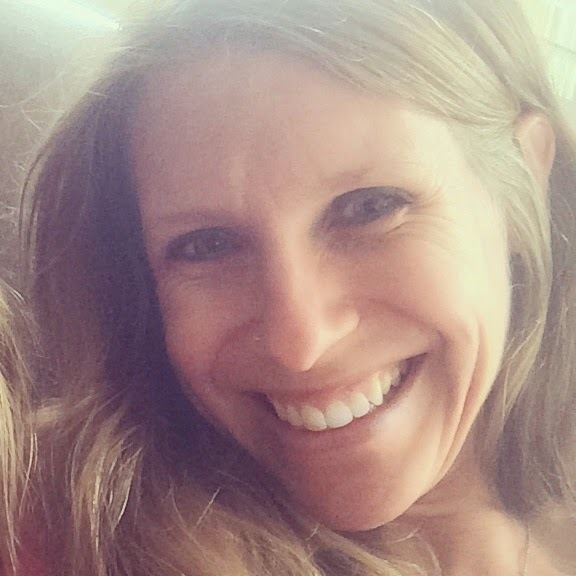 It is so hard as a woman, especially a mother, not to play the comparison game and/or put our self-worth in the amount of things that are checked off our list at the end of the day. Anybody with me? ...we have to eat peanut butter ALL BY ITSELF! I guess I used to hate Sunday nights because I had to get ready for work on Monday morning. We would always get the "blahs" on sunday evenings. Not anymore!! Now I love Sundays. Especially after such a FULL week of ministry like this week! We were exhausted, but the good kind of exhausted, like you have just accomplished something. We had a huge bowl of KIX and headed outside and played until we couldn't see anymore, then we headed in and had dinner. Nothing like leftover mac-n-cheese that's been sitting on the stove since lunchtime! Our kids seem to always be the cutest and play the nicest right before it's time to go to bed (does this happen to anyone else?) and we hated to interrupt this "happy heart" time so they didn't end up getting in bed until after 9pm. But Monday is our day off so who cares, right?! Josh and I are also getting pretty hooked on the show, FRINGE. It comes on on Tuesdays and we usually have CharlotteONE, but you can watch them on the internet for FREE so we watched Tuesday's episode, along with a couple LOST episodes (we're slowly but surely catching up on that show). "What do you do with the kids?" You may remember me talking about what we do with the kids during rehearsal times. For example, this past weekend we led at our home church, Southbrook, for their Sat. and Sun. services. I packed their dinner so I could just wake them up from their nap and stick them in the car to go directly to rehearsal before the service on Sat. night. Then we do the same with breakfast on Sunday morning. (I get EVERYTHING ready the night before: clothes, food, diaper bag, etc.) I even pack them a lunch because we usually pull them out of their last class and let them eat because we don't get out of the last service until 1pm and they tend to start getting cranky! Evening events, like CharlotteONE, are def. events where we find someone to watch the kiddos. It is WAY TOO LATE for them and there is WAY TOO MUCH going on. If we are just playing a few hours up the road they generally just come with us and we just make sure there is someone that can watch the kids while we play. These are the gigs that are the most draining for me. We all usually sleep in one room, whether it's a hotel room, host home, or cabin. Areyna has adjusted to life on the road with GREAT ease. Zeke, on the other hand, is going through several different "phases" right now, so it tends to be a bit more difficult for him. So, not only do we have the crazy nights, but then there are the endless hours of constantly watching them because we are not in our normal environment. I never know what they will find or get into. I'm not even going to talk about nap time! Thankfully Josh's parents only live 3 1/2 hours north of us in VA so we can usually work something out with them to meet them or drop the kids off, if we need to, while we do an extended out of town gig. They have been an AWESOME help as we've tried to figure all this out with the kids. Usually Josh tries to take at least 2 international mission trips a year and I stay home with the kids. But, we actually got to go to Hungary together this summer. We flew the kids to Colorado to stay with my parents. It was such a special time for all of them since my parents live so far away. It was such a huge help and an answer to prayer since Josh and I had been talking about doing another trip together for years. *If you have any other questions you'd like me to answer just e-mail me from my profile info. or leave a comment below. You can catch up on what's going on HERE and HERE! Here is the update Lyn gave us yesterday! He had his stem cell transplant a week or so ago and is doing remarkable. Thank you all for praying. What a GREAT God we serve! Cameron is doing awesome. All of the problems with his GVH have pretty much gone away. His energy is back and his WBC and ANC numbers are fantastic! By the way, he is COMING HOME today!! We have been packing him up for a couple of days now and he is heading home today around 1:00. Please continue to pray for us because he could still have more issues with his GVH but we have confidence with God's grace and your prayers that he will continue to be wonderful. We love you all. Rainy and Zeke have been giving us new dinner-time entertainment over the past week or so ... at EVERY meal=) It is absolutely HILARIOUS! A few minutes into the meal Areyna will stop, mid-bite, and say, "Zeke, will you make funny faces?" CharlotteONE was AMAZING last night. We kicked off the fall season and God was evident in the place. If you live ANYWHERE near Charlotte you have to come check it out. Every Tuesday night UpTown at 7pm. The link has directions and parking info. he's been practicing A LOT around the house this week. It's that time again. Check out the link below to see what you can get for FREE ... or at least REALLY CHEAP. Let me know if you see any other great deals out there!! The kids and I had a nice relaxing day today, which is a VERY good thing considering what our weekend was like and what we have going on the rest of the week. TUESDAY: Rainy has school, Josh and I give lessons and then drop the kids off at the Jane's so Josh and I can head UpTown to lead worship for CharlotteONE. WEDNESDAY: We usually wake up feeling like we have a hang over after we lead at CharlotteONE since it makes for such a late night. Small Group. THURSDAY: Lead worship for the Parkwood Mission Conference. Rehearsal dinner for a wedding we're in on Fri.
FRIDAY: Lead worship for the Parkwood Mission Conference again. Wedding. SUNDAY: Lead worship at Forest Pointe Church. Josh's mom found these reward charts and gave them to me. I made them into "Happy Heart Charts" for Rainy and Zeke. I must say that Areyna "gets it" better than Zeke because of her age, but her enthusiasm is helping Zeke understand the whole concept. She loves it so much that her first groggy words after peeling off the covers this morning were, "can I have my happy heart sticker?". 1-Going potty before we leave the house or before nite-nite time, "just to see if anything comes out". She rarely has accidents anymore, but she has a really hard time going when I ask her to. I think she feels like I don't trust her to tell me on her own. This is working really well. 2-For helping Zeke stay in bed like a big boy=) She likes to be a helper. 3- For obeying "all the way, right away, with a happy heart" during times that are usually difficult for her. 1-For waking up and STAYING IN BED and being "patient" for mommy and daddy to tell him he can get out of bed, INSTEAD of getting up, banging on the door and/or crying/screaming. 2-For obeying "all the way, right away, with a happy heart" just about ANYTIME. This is REALLY difficult for him. We're still working on the list of things to get stickers for, but it is really fun to see them get excited about having "happy hearts"! When they get a whole row complete with happy heart stickers (10 in each row) they get a surprise. The first one is a sucker. Any other simple, small, cheap ideas for "surprises"? Josh got a call on Friday afternoon from a 1-800 number and I am SO GLAD that he answered! It was the main bank office and they were asking if we had just purchased $125 worth of gas in Texas after just making a purchase in NC. Josh quickly replied with an, "ummmm, NO!" That wasn't all. There were 3 transactions that had already been cleared and 13 that were still processing. Apparently someone had stolen our debit card #. We NEVER use that card on the internet or give that number to ANYONE over the phone, so we aren't quite sure how they got the number. The banker said that stuff just happens and there is no other way to prevent it. Our account is so messed up now. As of right now it says we have $.29 after over $2000 of overdraft fees and misc. transactions. I'm not sure if it's a good thing that I set up our overdraft protection the other day either, since they continually over-drafted our account while depleting our savings at the same time! AHH! The bank said they'd fix it all and that they will waive all the fees. Hopefully this will all be settled soon. I'm about to go get groceries for $.29. Can I do it???? Ha! Zeke has been in a big-boy bed since early spring but this was our back-up plan for when Zeke decided that he didn't want to stay in bed like a big boy. We knew he could get out with Rainy's help, but didn't know he could do THIS!!! What do we do now?!?! Why Don't I Just Do It? Early in the summer I was diagnosed with a crooked pelvis. I am about 1 1/2" shorter on my right side than my left. This is why the lower left side of my back hurts, and possibly why my left knee hurts when I go jogging. Anyway, Dr. Anderson gave me some simple stretches to do that should help alleviate the pain and help correct the problem. Who knew that a few simple stretches could be all I need to get better. The thing is, though, I've been really lazy to do them. I KNOW it's going to feel good to stretch those sore muscles, I KNOW the feeling afterwards will be rewarding, I KNOW the benefits to doing these stretches will be life-changing, yet I continue to skip out. Josh started noticing this trend of mine, maybe from my constant complaining about how my back was hurting, so he decided to "help" me remember to stretch. He set 2 alarms on my phone for me. One is set to go off at 10:30am and the other at 4pm. I was good about it for a few days but then, whenever I'd hear the alarm go off, I'd stop what I was doing, walk across the house to turn my alarm off, and then GO DIRECTLY BACK TO WHAT I WAS DOING BEFORE!!! Why in the world don't I just do it. We do the same thing with so many areas of our lives. It's funny how these kinds of things bleed over into EVERYTHING, whether it's doing a few simple stretches, exercising, eating right, SPENDING TIME WITH GOD! It's amazing how they love what you love! "What Do You Do For Meals On The Road?" Many of you gave some GREAT ideas for breakfasts in the car on the way to churches early in the morning. Thank you!! Here are a few other things we've learned to do. This planning helps to cut back on costs for meals on the road. Sometimes we pack snacks and other times I'll pack a whole meal depending on how far away we're going. Other times we'll just camp out in a parking lot and get a Hot And Ready Pizza. I do have to think about our travel plans every week while I'm getting my grocery list ready. For instance, I sit down with my calendar and figure out all the meals I'll need for the week, plus what I'll need for breakfast in the car to such-n-such a church or lunch on the way to a gig up North, and add them into my grocery list. It doesn't always go as planned, but it helps to have this general system. What do you do for meals when you travel? I spotted the cookies on the second shelf of the pantry earlier this morning and then put the thought in the back of my mind for when I wanted a little snack. I didn't realize how LITTLE the snack would be! Thanks for leaving me 1 COOKIE ... I'd rather have not seen that we had any cookies at all! Here's a message for the cookie monster that ate my snack, just eat the last bite and throw the box away because it drives my taste buds CRAZY, no longer knowing what to crave, not to mention my fetish to consolidate. Josh, being the sweet husband that he is, decided to fix dinner for us last night. We're not quite sure WHAT happened to the rice=) The rest of it sure tasted awesome!! I just finished C.J. 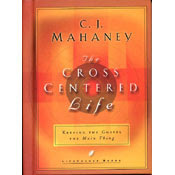 Mahaney's book, "The Cross Centered Life". It's a quick read, even for me, but I was really challenged about a lot in this little book. I want to share about one conviction that I'm going to try to apply directly to my life from the book. One whole chapter of the book is dedicated to laying out specific ways that we can have a "Cross Centered Day" by focusing on the Gospel. Mahaney talks about how many times people want to FORGET their past. Me included. I have several years in my life that I'd rather not EVER THINK ABOUT again. The heartache I put my parents through. The potential, and often real, danger I many times put myself in. All the selfish, prideful and rebellious things I've done. There are even certain places I'd rather not visit because the memories are just too hard. But this is the place I need to be to remember WHAT GOD HAS BROUGHT ME THROUGH!! I Timothy 1:13 says, "Even though I (Paul) was a blasphemer and a persecutor and a violent man, I was shown mercy." Knox Chamblin writes, "Vital to Paul's effectiveness as an apostle is that he never forgets his day as a persecutor ... An ongoing awareness of grace reminds Paul of the appalling sin from which he has been delivered; an ongoing awareness of sin keeps him dependent on grace." Did you hear that? We should remember our past so we are turned to the Cross. We must no longer believe Satan's lies that God CANNOT and/or WILL NOT forgive us. Instead, remember where we were and what Jesus Christ did on the cross so that we can be forever forgiven and allow God to use those times to bring others to the foot of the cross as well! Josh has been talking about taking Areyna to Build-A-Bear before we even started daddy dates so we thought this would be perfect. But then I read about THIS FREE activity at Wal-Mart and thought, "even better"!!! Well, Josh drove FOREVER to get to the Wal-Mart hosting this activity and they didn't have a clue what he was talking about. Don't worry we had a back-up plan=) My friend Melissa had sent us THIS LINK for a coupon (don't worry, they said they'd take expired coupons) for Build-A-Bear so they hopped back in the car in search of Build-A Bear. Loving her new best friend "Tissue"
Areyna named her new bear "Tissue". Yes, I wrote that correctly=) She couldn't stop talking about her day. Later that night when we were hanging out together she cuddled up next to Josh and said, "Dad, you and me are best friends."